It shouldn’t come as a surprise when I tell you that we humans haven’t been too kind to Mother Nature lately. In fact, it seems that every time you open the newspaper or turn on your TV, there is a new fact or statistic telling us all how we are destroying our planet. And it’s not just you and me. It’s the sum of our everyday, first world amenities that may be slowly taking a toll on the rest of the plant. The airline and automobile industries, the pharmaceutical industry and businesses involved with fertilizers are just a few things we take for granted that could possibly be hurting us more than helping. But while over 7 billion people roam the Earth, many of us, are slowly becoming more conscious on the effect we are having on our planet. Here at TurnKey Internet, we realize the effects data centers can have on the environment as well. Ever since we established our company, we’ve been taking large strides to make our data center as green as possible. But how can you make a data center green? And what does it take? Well, let us tell you! We’ll start from the outside. If you drive up to our data center, you may not notice one of our coolest and biggest features that make us so green. 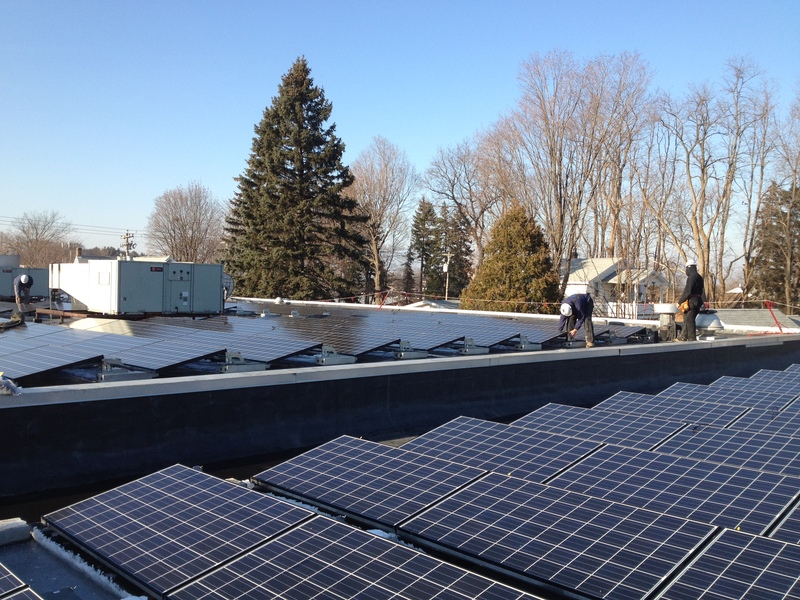 We have an advanced on-site solar array that provides clean, pollution-free power that covers our entire roof! As we head inside, you probably wouldn’t notice something else that would be right in front of your face. The lights! You know those little energy saving lights you buy for your home? Well imagine if you could bring them to work with you, replace those awful florescent lights, and save money while using a lot less energy. Next, we head into the data center. If you have been in a data center before, then you might notice something drastically different about ours. Well we call them “pods” or to be more specific, state-of-the-art Smart Aisle Cold Containment Pods. These awesome things use a fraction of the amount of energy typically used in a data center by using in-row precision spot cooling. This spot cooling works with in-rack temperature sensors that regulates the climate and keeps the servers at an optimal temperature. 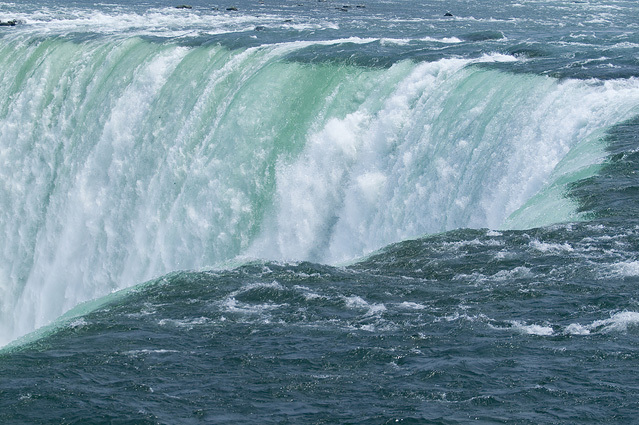 Finally, another great feature at our data center is that we receive hydroelectric power for New York’s Niagara Falls, thanks to Governor Cuomo’s ReCharge New York program. That’s right. Those beautiful falls are helping us become one of the most energy-efficient data centers around. Because here at TurnKey we mean business… and we mean green! You don’t have to be a tech startup to benefit from ready access to your data. Digital information is becoming increasingly important to companies of all sizes in all kinds of industries. Data centers let you store, modify, access and back up your data safely, reliably and economically. Here’s how they work and why they might be right for your organization. Servers are computers made to be constantly running. Unlike your personal desktop or laptop, most servers are headless, meaning that they lack monitors, keyboards and other interfaces that facilitate direct human interaction. Instead, they connect to other servers and clients via local network and internet connections. For instance, when you access your favorite websites, you’re really sending a request to a remote server that responds with the information needed to display the pages you want. Servers are made to be compact, and racks let you stack armies of them in a small space. 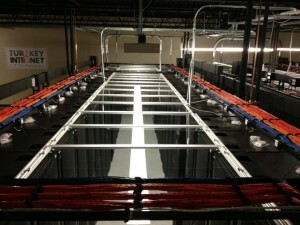 Racks may house their own cooling devices and monitoring components. Some even include custom components, vibration absorbing materials and soundproofing elements. Rack units come in a number of standardized sizes made for various equipment. Their design makes it possible to mount shared power units, route cables neatly and install servers in a fashion that permits free air flow. Linking servers together requires more than just network cables. Like the home or office networks that you might be familiar with, these systems require switches, routers, firewalls and other connecting hardware that controls the flow of data and permits secure external access between a remote client and a server. Most data centers feature redundant network connections from multiple Internet Service Providers (ISPs), allowing them to have a bandwidth capacity of more than 10,000x that of a typical office cable internet connection. This redundancy also allows some data centers the ability to offer Network Uptime Guarantees or Service Level Agreements (SLA) to their clients. Even though racks and servers commonly have their own local cooling fans and ducts, all of the heat that they cast off has to end up somewhere. Cooling systems ensure that your data center doesn’t turn into a hot sauna by circulating air inside the facility, controlling moisture levels and exchanging heat using an air conditioner or similar device. These systems must be capable of constantly running since servers generate significant heat even when they’re not chugging along at full steam. 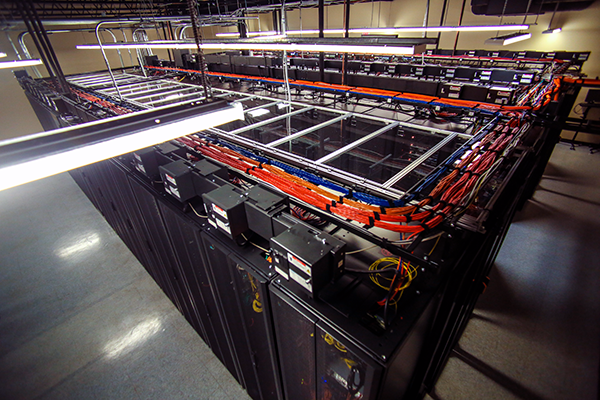 Temperature management is one of the most important aspects of operating a data center. Proper cooling saves expensive equipment from overheating, shutting down unexpectedly or sustaining permanent damage. How do you know when your office server is running smoothly? Although checking your website is one option, it’s not very effective at stopping problems in advance. Performance monitoring devices featured in data centers let engineers observe the conditions in their facilities to ensure that everything is going according to plan. 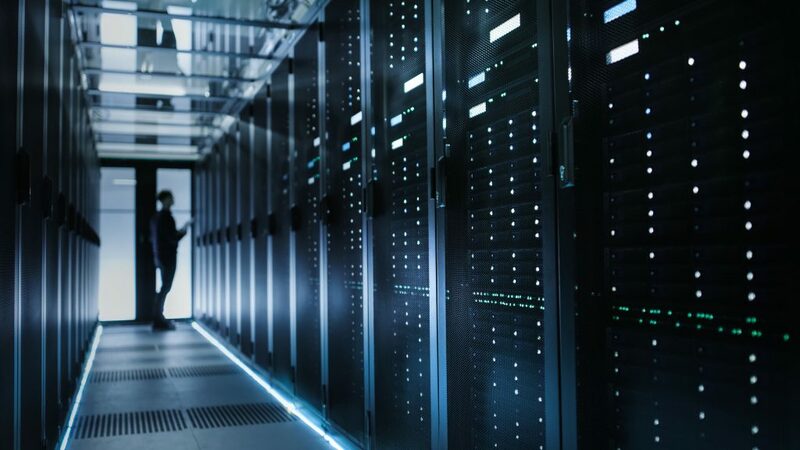 Tracking different variables, such as temperatures, power usage, and network activity give data centers deeper insights into the overall performance of your company’s servers, allowing them to take specific actions in case of problematic conditions. Most data centers feature power distribution units, or PDUs, and components like uninterruptible power supplies, or UPS, that continue providing electricity in case of blackouts. Data centers will also incorporate backup generators to ensure continuous power is delivered to your IT equipment in the event of a disaster which wipes out local utility power. Some data centers will even take an environmentally-conscious approach by leveraging green, clean energy via solar and hydro electric power. 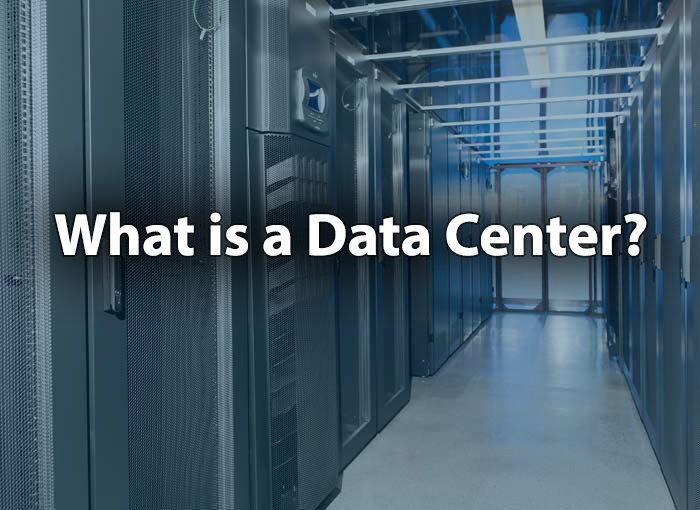 Why Are Data Centers the Standard? Data centers have come to dominate a landscape once populated with in-office server racks and general-purpose computer networks. While these elements still play roles in many business models and processes, their fall from prominence reflects a number of advantages that only data centers can claim. Could Your Organization Benefit From a Data Center? It may seem tempting to do everything in-house, especially if you’ve already invested in your own servers or a computer room. Although some organizations don’t need dedicated data centers, many are leveraging the advantages to propel their enterprises forward in a business ecosystem that’s only growing more digitized. Do you want your site to be accessible at any time from any location in the world? Are you prepared to replace your critical network infrastructure in the event of a disaster? How much are you spending on facility power? While there’s definitely a call for keeping some computing hardware local and maintaining your own IT staff, data centers make it possible to reduce operating overhead and increase reliability in these and many other areas. For organizations that depend on data to power their decision-making, connect users and get work done, the choice is clear. To learn more about incorporating data centers into your business model, contact TurnKey Internet today! Businesses of all sizes need to be online in order to stay competitive and grow. Initially, most businesses relied on building their own online IT infrastructure, by converting a spare room or space in their office or even their home, into a “Server Room.” There was no thought of cooling systems or ventilation. No notion of backup power systems, or any real working order was to be found in these Server Rooms. 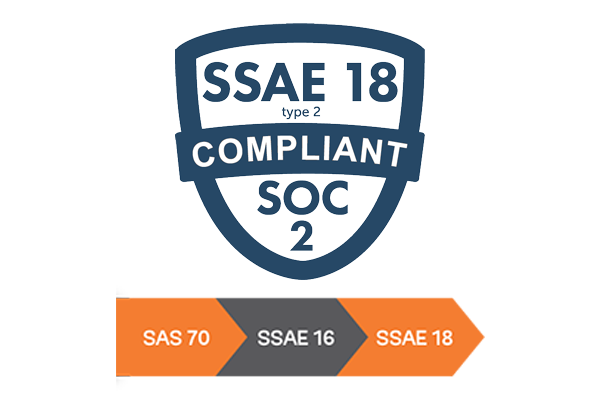 Today, businesses need their operations to run with super speeds, be secure, maintained, monitored, and most of all be redundant. To achieve this, businesses are moving away from on-site or in-office server rooms and instead are utilizing Datacenters. Most Server Rooms do not have a high volume of security. Besides the buildings overall security, there may be a lock on the Server Room door. Datacenters pride themselves in the security features they offer. All entrances and exits are secured with a key coded entry system, as well as alarms. Not just alarms for entry. Alarms for temperature control, air pressure, fire suppression, etc. Datacenters also have network cameras, accessible to their staff and security team in a needed event. The racks or cages the servers are housed in are all individually locked and are only opened for pre-authorized individuals or by the datacenter staff, if needed. What good is your server if you have a fixed bandwidth rate? Most in-office Server Rooms are capped off and limited by their ISP as they are using a residential internet service. Datacenters do not use any type of residential internet service and are able to set their own bandwidth limits. If there is a power failure at your business, do you have a backup power plan? Most Server Rooms run from the same power source, as the full office. Making your sites and servers go down if there is ever a power failure. Datacenters have a plan for any type of failure. When it comes to power failures, most datacenters have battery backups, automatically triggered if the main power supply is not responding. When the system sees the backup batteries are being utilized, another backup power source is engaged, the generator. At this point the battery backups turn off and all power is controlled by the generator until normal power is restored. With a Server Room, you are accumulating all the costs that go along with it. You may have had to cut advertising short or possibly even lay off good employees as the costs to maintain and house your IT equipment have risen. 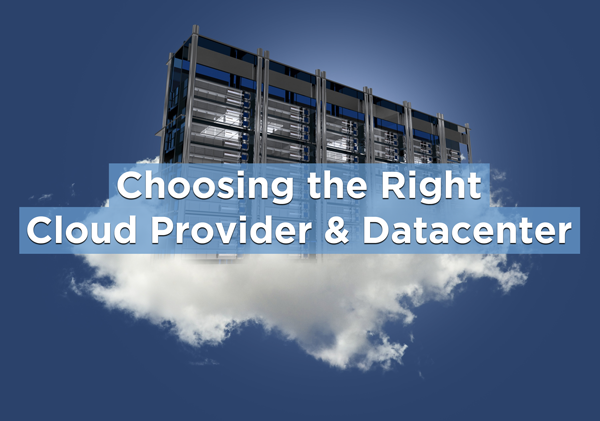 At a datacenter all those costs are tied into your package and at a much, much lower cost. 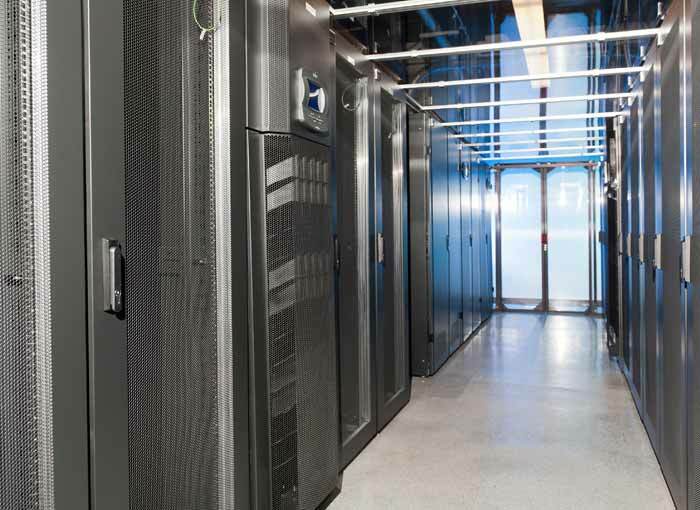 Datacenters control the cooling and humidity – to a precise and perfect level to keep your equipment running as long as possible. Storing equipment in non-conditioned environmental space like your server room or office closet will shorten the life of your equipment significantly (meaning it will cost you real money to replace broken equipment sooner). Electronics are sensitive to things like electrical and static shock, which occur due to improper humidity (moisture) and you can even find corrosion on the electronics in some poor environmental conditions. Its crucial if you have valuable equipment to store it in a properly humidified and cooled location like a datacenter. Some modern datacenters, like TurnKey Internet’s Green Datacenter , offer one additional benefit ontop of everything above. Your IT equipment and servers consume less energy in terms of cooling and power draw in a modern green-focused datacenter – and in TurnKey Internet’s datacenter your equipment consumes energy provided by only by the Sun (on-site solar array) and Water (Hydro power) providing zero carbon foot prints for your IT infrastructure versus having it at your office. Is your company prepared for a catastrophe that could result in the loss of your data? You’ve most likely taken out insurance to protect yourself against natural disasters, robberies and similar catastrophic events. Your data should be no different. The only difference is that this type of insurance involves making one or more copies of your information so that it can be accessed if something happens to the original data, whether it’s the result of one of those catastrophic situations mentioned above or it’s something like a hardware failure or a disastrous infection. Onsite backup involves you copying your data to a separate or shared drive that is located on the same premises as your primary data source. The most significant benefit of this plan is that you can always have your secondary data right there. If something happens to your primary computer system, it’s normally easy to start utilizing the backup sources, and you don’t need to have an internet connection to do so. The cost of utilizing this type of data backup is usually relatively low, and the process of backing up your data with this method is normally pretty simple. However, several significant disadvantages exist as well. A natural disaster such as a flood or tornado that destroys your original data will often take out your backup data too if it’s being kept onsite. And if somebody breaks in and steals your primary data, doing the same to your secondary data too can be done on the same trip. Those taking advantage of cloud backup options will have their data sent to a remote datacenter on a regular basis. Probably the most significant benefit of going this route is that multiple copies of your data will can be made to stored on multiple servers located in a variety of places. That way if something disastrous happened to one place or server where your backup data was stored, you could simply access an alternate. Your data is safe at these locations as it is encrypted before being stored, and you will generally enjoy unlimited or nearly unlimited storage capacity. Another benefit is being able to automate the process so that you are not dependent on somebody remembering to back up the data. An indirect benefit of utilizing a cloud backup method is that those who are authorized to do so can easily access the data, whether they are located across town or even on the other side of the world. This is a great benefit for organizations with multiple locations or remote staff. However, some cons exist with this method. It generally costs a little more to go this route instead of backing up your data onsite, although that is countered by not needing to purchase your own backup equipment. How quickly you can retrieve your data is also going to be very dependent on your office’s internet speed, something that is a non-issue if your data is onsite. You also have to make sure that you research and trust the datacenter provider you are using to back up your data remotely. Determining what needs to be backed up should be addressed before you look at how you back it up. You can back up everything, otherwise known as a full backup. This obviously requires the most storage space as well as the most time. However, it helps ensure that you will be completely back up and running in a timely manner if some disaster causes your primary data source to no longer be accessible. 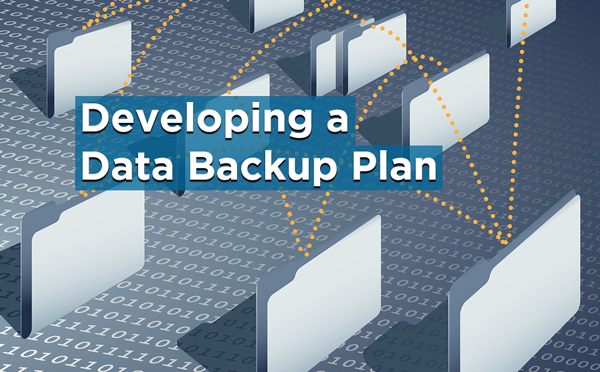 Keep some important details of your backup plan in written form. This includes exactly what’s being backed up, when and how often that occurs and who is responsible for ensuring that it occurs at the time it’s supposed to and to the thoroughness that is expected. Do you want to back up everything that is located on computers at the office? What about data located on laptops or cellphones that are taken to and from home? Is your email or website backed up? Do you want them to be? Do you possess physical forms and documents that you want scanned into electronic form and then backed up in that form so that you are set if something such as a fire or flood destroys the hard copies?